Merle Edwards was at WMIN from 1949-55 and had shows like “Merle Edwards’ Caravan” and “Merle’s Mad House.” Bill Diehl tells the story that a car dealer called Slawik Motors wanted to sponsor a show, but it insisted that the DJ call himself “Hub Cap.” The station approached Diehl, but he thought the idea was ridiculous – he was a columnist for the St. Paul Pioneer Press, after all, and had a recognizable name. So they convinced Edwards to do it and he became Merle “Hub Cap” Edwards. David Hersk remembers that Edwards had a late night show where he called himself “Uncle Merle” and played plenty of rock ‘n’ roll in 1954-55. “I remember recording “Rock Around the Clock” from a WMIN broadcast on my Wilcox Gay recorder. Merle announced me when I called in, and gave me five seconds of dead air to start my home recorder at 78 rpm.” “Rock Around the Clock” was recorded in 1954 and became big news in 1955. 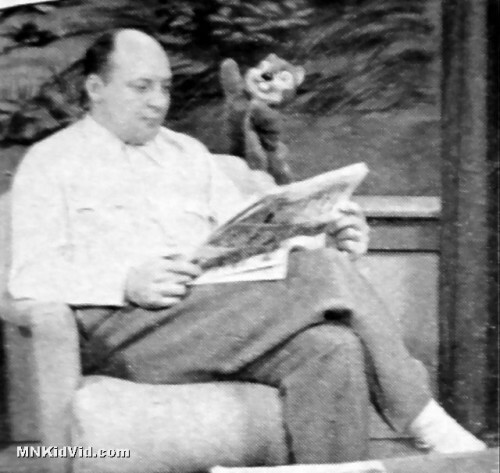 Edwards was on of the first personalities on WMIN, Channel 11 when the station launched in the fall of 1953. He had two programs on the station. 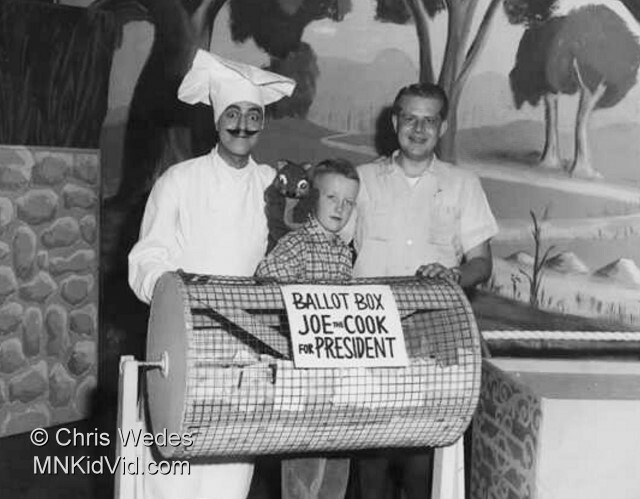 “The Weatherbird” ran weekdays at 6pm, following Captain 11 and Crusader Rabbit. It featured a strange bird puppet. Merle would knock on the bird’s cage and it would come out and joke about the weather. 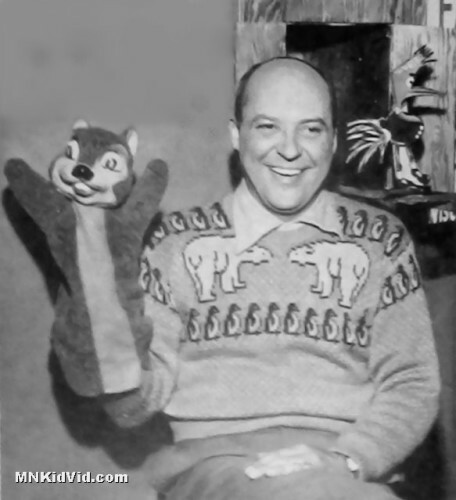 “Merle and the Squirrel” ran Sunday mornings with Edwards accompanied by a squirrel puppet. They would read the Sunday paper comic strips to viewers. Merle Edwards seems to have left channel 11 around 1956. I don’t have any further information about him, but his puppet friend “the Squirrel” joined the Casey Jones Noontime Express and became known as Tommy the Ticket Taker. Tommy would ask children riddles each day and offer prizes. Tommy the Squirrel is shown below with Joe the Cook and Roger Awsumb. Special thanks to Jeanne Anderson, The Pavel Museum of Broadcasting, and Chris Wedes.